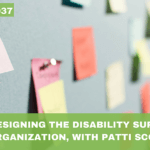 In this podcast episode, Lynn McGregor provides an overview of the Ontario Accessibility act, educates us on our rights when it comes to accessibility in the built environment, and provides tips for making your home accessible. 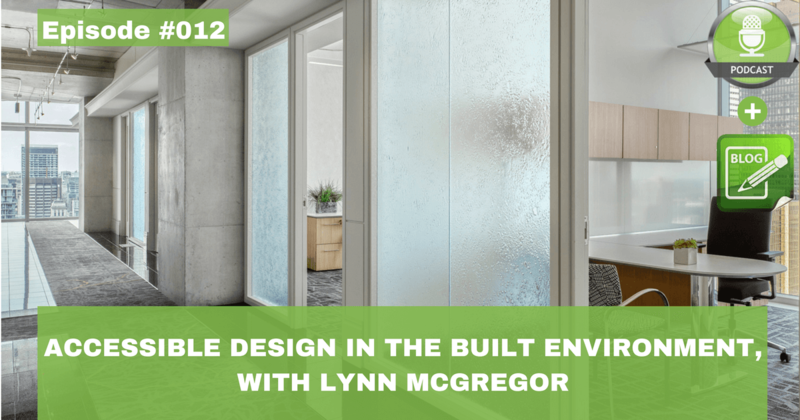 Lynn is a registered architectural Interior Designer and founder of the McGregor Design Group in Toronto, Ontario, Canada. She specializes in commercial architectural design, and accessibility in the built environment. Lynn was appointed to Ontario’s Building Advisory Council to assist with the creation of building codes, and other special projects such as the new Accessibility Act, as it relates to the built environment. The goal of the accessibility act is to have the province fully accessible by the year 2025. 1) Accessible customer service; To help remove barriers for people with disabilities so they can access goods, services or facilities. 2) Information communications; To help organizations make their information accessible to people with disabilities. 3) Employment; To help make hiring and employee support practices more accessible. 4) Transportation; To make it easier for everyone to travel in the province. 5) Design of public space (Built environment) – To help organizations make new and redeveloped outdoor public areas accessible. 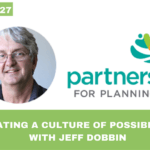 This podcast focuses on the built environment. The built environment is impacts how we live in our home, how we do our job at work, and how we enjoy our social time in our community. – All new buildings must achieve a higher standard of accessibility. – Existing buildings that are not compliant with the act do not have to comply until they are planning a large renovation. – High density housing buildings must make 15% of all units fully accessible. – Expect full democratic access in a new building. – New structures are making life easier for everyone. – You can demand a unit that is fully accessible in new buildings. – All entrances must have wider openings and opening devices. – Washrooms that are larger and universal. – Stairs and ramps that have a gentler incline. – All work stations need to be fully accessible in office buildings. 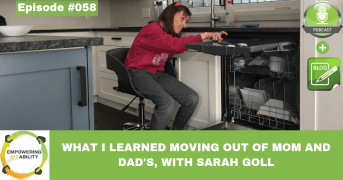 Housing is on many of our minds, and the accessibility of our home is a concern for many people with a disability (and for our aging population). Lynn provides some outstanding tips for improving the accessibility of 1) entering/ exiting your home, 2) the inside your home, and 3) the outdoor area of your home. To enter/ exit a home through the front door there is often the barrier of stairs. In a lot of situations, the grade level can be redesigned so stairs aren’t needed. In many cases this can be done for as little as $2,000. If it isn’t possible to redesign the grade level at the front of the home consider making a side or back entrance more accessible. The other thing to consider is the landing inside the door, you will want to make sure there is ample room to turn and close the door. Kitchens: Sections of the kitchen counter can be lowered, with leg room underneath so that everyone can participate in preparing food. Laundry: Front load washers and dryers make doing the laundry accessible for all. Stair lifts: Modern stair lifts are cost effective, fold up out of the way, and are easy to install. They also give everyone in the home access to the entire home on their own terms. Lynn offers more inside the home tips on the podcast, tune in to get all the fantastic tips. *Note: In Ontario (and many parts of the world) there are government grants available to make your home more accessible. For example, the Ontario government will pay for 75% of your in-home stair lift through the Assistive Devices Program (ADP). 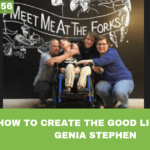 This program also helps people with long-term disabilities pay for customized equipment, like wheelchairs, shower aids, lifts, ramps, and even replacement batteries. For more information on the ADP Click Here. Gardens: Consider a raised flower bed that is at a level that works for the person. This allows people to enjoy nature, and connect with the earth. Lighting: Adequate outdoor lighting for pathways makes for easy use during evening hours. 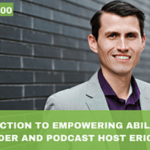 I thank Lynn for coming on the podcast and sharing her expertise on accessibility in the built environment. 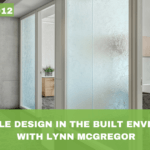 Lynn is an expert in commercial architectural design and I encourage you to reach out to her for an assessment of the accessibility of your commercial building. Lynn is also a fantastic resource to refer to your building manager to partner in finding accessibility solutions. Next week is the start of what many of you have been waiting for, the launch of the 6-episode Mini-series on housing. 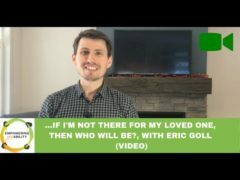 Many families are looking for housing solutions and in this mini-series we talk about the current housing situation, share success stories, and provide a global perspective to help you think about the best solution for you and your loved ones. it is something that you aren’t going to want to miss!